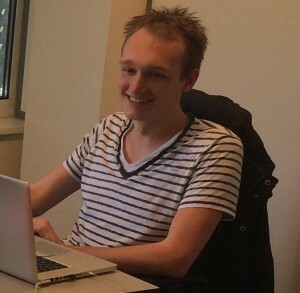 My name is Glenn Verheij and I'm a Game Designer / Developer from The Netherlands. Kjoeb is my company name under which I publish all my personal games. Currently I am working on a game called Flippen. In 2011 I began my study at the HKU University of the Arts Utrecht. Here I studied Game Design and Development. During my study I've learned a lot about designing games. Together with my classmates we made a lot of games together. In the Group Projects page you can find some of these projects. As Kjoeb, I design, program and visualize all my games. During my time at school I'd spent a lot of my free time on personal projects. As a designer I like to experiment and prototype fast so I can let others play as soon as possible. Their feedback is very important to me.